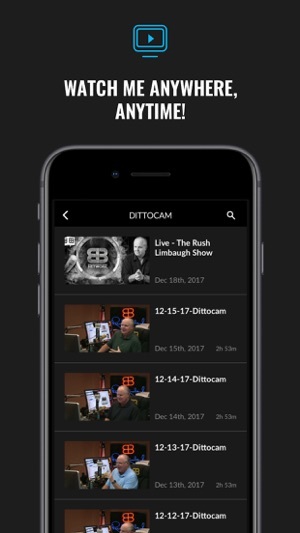 Fixes a bug with push notifications to the Live Dittocam player and other Performance Enhancements. 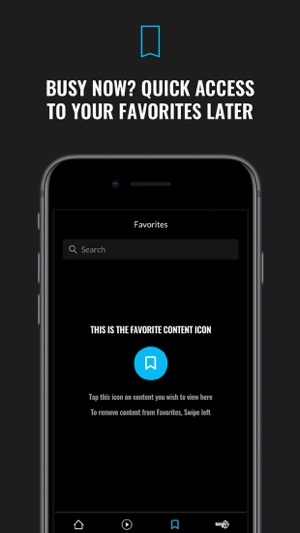 When the majority of people using this app have always used it to access the show’s audio why would you make us change screens and scroll down and click again to open the show audio???? Once we open the audio we no longer have summaries of show topics to help us decide which episode we want to access - that doesn’t show up until after you start an episode (and then it scrolls by in tiny font with blue on a black background...cmon guys). We still don’t have a 15 sec rewind/fast forward feature after every state of the art audio player incorporated it years ago. The app forgets where you are in a program if you interrupt the playback to answer a call. The slider used to navigate within an episode does not work most of the time. 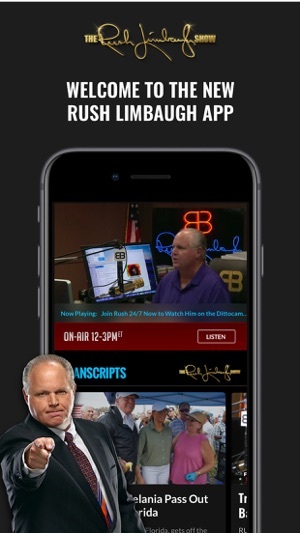 This app is not an improvement for anyone who wants to listen to The Rush Limbaugh Show 24/7...and the show is the point isn’t it??? And since I’m airing complaints I’ll add mine to a few other commenters - I’m tired of paying for the show for my convenience and still having to spend a minimum of 5 minutes an episode dedicated to these live commercials for boll and branch, norton core, legacy box, simply safe, etc. It doesn’t make me interested in purchasing these products - it has the opposite effect. I can't use the app any more, although I would. It stops 3/4ths through the splash screen and freezes. I hope they are working on this. The app won't load at all in airplane mode. Crashes immediately. Tried to remove and re-download...also restarted my phone. Still same splash screen fail. 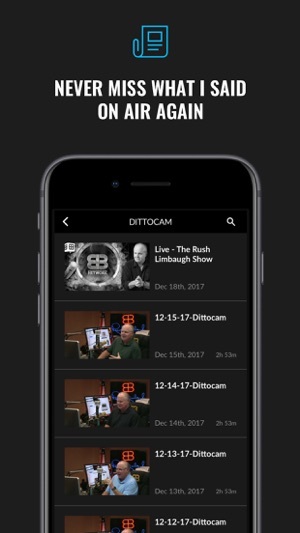 If it ever gets fixed, I also don't like that I have to flip through a screen and scroll a view just to get to the podcasts. I also wish the podcasts were in release order than by day, hr1, 2,3...hard to find out what is next to hear when missing a couple days and trying to catch up. There should be some indication that a podcast was played. Also, if I leave the app for a day, and was in the middle of a podcast, the app restarts and I end up flipping through the list trying to figure out where I left off. Takes too long. You should keep track of what is currently being listened to(plus where it last left off, and return to that place). The reload-refresh is terrible because of this. Poor user experience because of this. I know you want to pass new stuff as soon as it's available, but it shouldn't be at the expense of returning to where you left off. This must improve. The new app works fine for me after an initial hiccup: Having to enable cellular data streaming in the app is unnecessary and took me reading reviews here to figure out what was going on after a day of frustration. I see no reason for this redundancy. Cellular streaming should be enabled/disabled from the phone settings and that’s it! Other than that, I love the new look and it works quite well for me. I like being able to both stream shows and individual sound bytes. 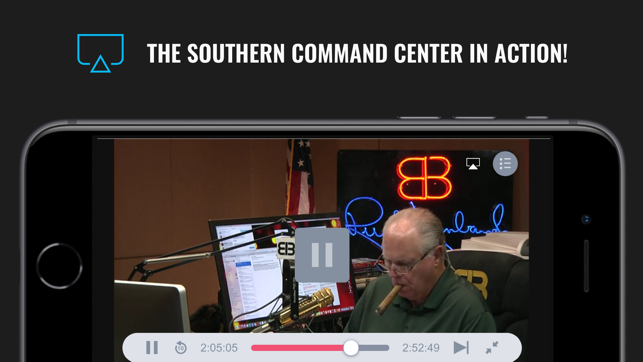 Rush has a lot of talking points and having to not wade through hours of show to find the clip I want is so helpful when replaying for friends in conversations and such. They do a good job of putting the individual stuff separate for the bigger talking points. 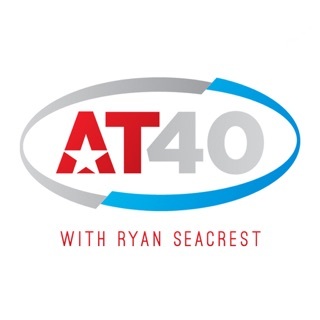 I also like that the sound quality is a lot better than my local AM affiliate. 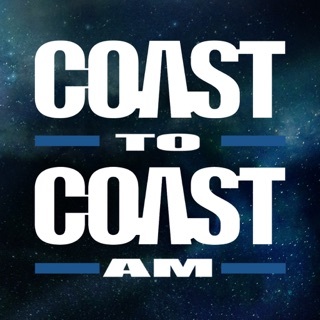 I find myself using the app even when I can listen on the radio. I look forward to a future update without the redundant cellular streaming issue. I know I’m not the only one who finds this annoying. Other than that, good work.